[N]ature has in favorable times, places, and climates multiplied her first germs of animality, given place to developments of their organizations, [. . .] and increased and diversified their organs. Then [. . ] aided by much time and by a slow but constant diversity of circumstances, she has gradually brought about in this respect the state of things which we now observe. Lamarck as a young man, when his researches were changing the history of the biological sciences. The quotation above sounds strikingly similar to the theory of organic evolution as it would be proposed by Charles Darwin in 1859. In fact, these are the translated words of a French botanist and natural historian of invertebrates who set forth a fully developed theory of evolution half a century before Darwin. Indeed, Darwin credited Lamarck as the first person to attribute “all changes in the organic, as well as the inorganic world” to natural laws and not to “miraculous interposition.” The only problem for Lamarck was that his theory contained one serious–indeed fatal–flaw. Lamarck believed that one giraffe stretched to reach the leaves above his head and that his stretching, which lengthened his own muscles and allowed him to reach the new food source, was then passed on to his young. This would be the same as saying that Einstein’s son would be smarter because of the countless hours his father spent working at the research desk or that Michael Jordan’s daughter would be a better free-throw shooter because of the countless hours her father had spent at the free-throw line, perfecting his shot. Lamarck got it right insofar as he argued for the inheritance of changed characteristics over time. He got it way wrong insofar as he believed that these characteristics were established by the activity of the previous generations rather than by chance mutations caused by heredity and inheritance. Of course, Darwin–in 1859–also did not understand the means by which natural selection occurred (Gregor Mendel’s genetics were still half-a-century away when Darwin said that chance mutations established the basis of inherited characteristics). So Darwin knew that there were mutations not “caused” by the individual; he just did not know the actual biological source of these mutations: chromosomes, genes, DNA, and RNA. But Darwin’s view of natural selection was right, and Lamarcks’ was wrong, insofar as Darwin understood the importance of chance, of the random action of mutations, of the accidental element at the heart of all changes in living species and their descendants. Lamarck as an old man, blind and impoverished. Upon his death, his possessions had to be sold at auction and he was buried in a pauper's lime-pit, as was Mozart. Genius, of whatever form, was never a guarantee of success in life. Lamarck, however, was nonetheless a major scientist and contributor to the science of life in his era. He was one of the first scientists to use the word “biology” (“biologie” in French) to refer to the study of the science of living things. 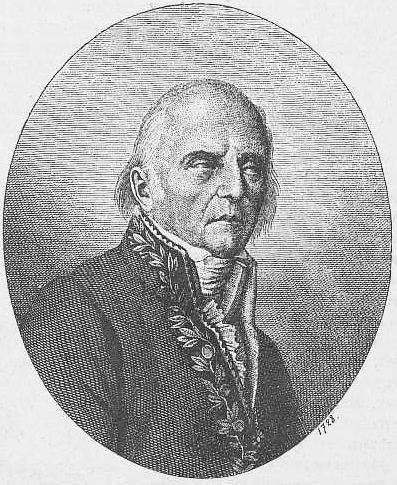 He began his scientific career as a biologist and, by 1793, was appointed professor of zoology at the Muséum National d’Historie Naturelle. Lamarck not only named over 1,500 new species of animals–mostly marine creatures–he also had several dozen species named in his honor, including Acropora lamarcki (a Red Sea coral), Erosaria lamarckii (a sea-snail-cowrie), and Xanthias lamarckii (a marine worm). Lamarck was right that the environment plays a crucial role in the development and the success of certain species. Lamarck was seriously wrong, however, in his understanding of how this environmental role worked. While Darwin would see that particular environments allowed certain species to thrive–and thus to reproduce and other species to fail to thrive (and thus to die off), Lamarck thought that the environment changed specific individuals and that those changes were then passed on to subsequent generations. But no amount of sunburn on a specific creature could ever produce darker skin in subsequent generations, and no amount of exercise could produce more muscular offspring. My grandson may be bald because my grandfather was bald, but my granddaughter will not know anything about poetry because of all my work with poems, nor will she have a stronger back because of all of my efforts to strengthen my weak back. (She may however, have a weak L4-L5 vertebral connection, since so many of our ancestors have a congenital weakness at that spot in the spine). Lamarck was also a major contributor to taxonomic knowledge and to science’s understanding of the relationship between and among species. He modernized the earlier taxonomic classification known as worms (Vermes), by subdividing them into annelids (true worms), arachnids (mites, scorpions, spiders, and ticks), crustaceans (crabs, crayfish, lobsters, shrimp, even barnacles), and echinoderms (sea cucumbers, sea lilies, starfish, and urchins). He also was the first to realize that arachnids were not insects (the six-legged rule: all insects have them; spiders have eight), nor were crustaceans. 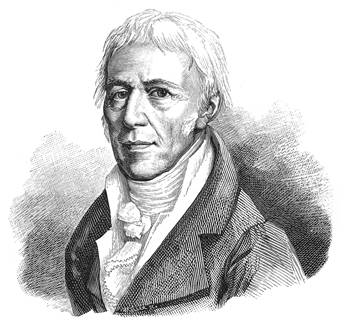 Lamarck had a tragic end, blind and bankrupt at age 85. Fellow scientists like Cuvier and Buffon had ignored most of Lamrack’s work throughout his life, and yet a century later not only Darwin but also the geologist Lyell and the anatomist Haeckel would praise him for his contributions to the study of evolution and zoology. As Darwin would say in 1861, three decades after his death, of Lamarck’s nonspiritual explanation of the “secret” of life: “he first did the eminent service of arousing attention to the probability of all changes in the organic, as well as in the inorganic world, being the result of law, and not of miraculous interposition.” His family was so poor at the time of his death that they had to ask the scientific academy he had worked for to help them out financially upon his death. Science was not necessarily a lucrative way of life, then or now. Lamarck on the Victorian Web: David Clifford (Ph.D. Cambridge) offers a brief summary of the scientist’s life, including his curious personal life: married his first wife–the mother of six children–on her deathbed (after 15 years together), may have been married up to three more times, and left one son deaf and another insane.